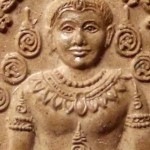 Thailand Amulets FAQ – Questions and Answers about Thai Amulets and their Worshiping Methods. Thai Amulets have a myriad of Kata for Chanting, specific Offerings and Rituals for paying Reverence and Praying to them. Sometimes people have doubts about the methods of worship or offerings, and need them clearing up. This page will attempt to answer some of the most common and also rare questions about Thai Amulets and how to worship them properly. We shall add new answers to the list of questions about Thai Amulet in this Info Page as time passes, so please check back once a Month or so to see if there are new additions. Please use the feedback section (top right of browser screen on our web page) to send us questions about Thai Amulets. If they are valid, and the kind of questions which many people may wonder about, we will answer them here on this page by adding new Thai Amulet FAQs as we work along the way. A = Nava Loha normally has a rich element of gold and silver mixed in, which is one of the main reasons for this metal usually being the most expensive of editions which produce amulet in various sacred metals. The silver serves to harden the metal and the gold serves to increase luster, sheen, and also to offer a more luxurious version for those who wish to make a larger donation and receive a higher quality metal for their amulet. As far as power goes, sometimes there may be a difference between a more expensive metal and a less expensive one, but often not. It is more of a question of whether a devotee wishes to help the temple by purchasing a more expensive amulet and in return also get a more valuable collectible amulet that in addition will increase in value and rarity as time passes (this is always the case with high end models of any edition of Thai amulets). What is the Best Kind of Case/Frame for amulets? Use the above formula to help you in deciding what Looks (Aesthetic Looks), Lasts (Care and Maintenance), or Lives (Magic Power Awakened) Best to Your Needs. Cord Wrapping; – Ancient Style, still preferred by Many, who believe in the Olden Times Belief that the amulet must touch the bare skin. It is less than a century that amulets been encased, before which, people would wrap the amulet in a cloth or with cords, and wear against the skin, so that the Sacred Muan sarn within the amulet lends benefits including healing ad prevent illness. A very classic and recommendable way of maximizing potential Magical and Healing and Protective effects of the amulet, with the disadvantage being that the amulet is subject to extra wear and tear and wont maintain its newness. For Ancient Amulets, this is a very nice and fitting option if you have the Faith of the Olden Times people and see it fit to maintain this belief and tradition. Waterproof Casing; A transparent Acrylic Bubble-Like casing that prevents water from coming into contact with the amulet, and allows a 360 degree view of all sides of the amulet.This type of casing is Recommendable for Powder Amulets of lower value, and definitely a clear choice for metal Loi Ongk statuettes and smaller Takrut scroll spells. In addition, some of the powerful aromatic Maha Sanaeh type amulets, whose aromatic qualities are well preserved by Waterproof Casing, are also a type of amulet which can benefit from encasement ion Waterproof Casing. In Thailand, waterproof Casing is becoming the Normal Choice for almost all amulets. This is however, not due to the fact that it is always better, rather, that the new Era amulets, almost always have different shaped border-edges even the classic Pim such as Pra Somdej Buddha Image Votive Tablets, and Rian Sema Monk Coins. because of the large array of new and original designs which is the current trend in the continuing and developing History of Thai Amulets, the Stainless Steel casing of Old which we have come to know and recognize, is no longer efficiently viable, for indeed it is true that nowadays, only one in ten Sema coins fit the pre-fabricated Stainless Steel frames which assume the same small set of different shape and size ‘Pim’ that the 2540 Era was used to. It is therefore not possible for Stainless Steel amulet frame manufacturers to make perfectly fitting shaped frames for the amulets of the Modern Era. Only the Eternal Classics such as the Pra Luang Por Tuad Tao Reed, Pra Pid Ta, and Pra Somdej Wat Rakang amulets, still fit in the frames that are available. I recommend Waterproof Acrylic Sealed Transparent Casing for Powder Amulets of lower price, those with very aromatic ingredients (such as Lay Master Love Charms. I also advise Waterproof Casing for Amulets, which are easily damaged by water (soft, new powder amulets that have not had enough years to dry properly). It takes a couple of years or more for an amulet to dry completely, after which, the older it gets, the harder and less porous it becomes and impermeable to water. Stainless Steel Frames; Stainless steel frames are available in various styles and price ranges, but all of them are relatively economical, and look good. Classic method. Can use for metal or powder amulets. If powder amulets, and you don’t take care that the amulet does not receive any shocks due to hitting against hard surfaces. Any kind of Physical Shock can break the transparent face and/or the powder amulet itself. repeated accidental shocks will finally fracture the amulet. Bowing on the floor in temples, it is advisable to remove ones amulets before doing so, or to make sure they do not hit the floor when you bow. Micron (Gold Plate); Gold Plated Micron casing is subject to the same rules and recommendations as Stainless Steel casing. The difference being that the surface of the casing is coated in a thin layer of Real Gold. These kind of cases look very luxurious at a very affordable price, but the gold plating wears off in time (maybe 3 years if worn often, faster if not cared for), and is thus an option that is for people who lie to interchange their amulets and switch cases once in a while. Solid Gold, and Solid Silver casing; These are of course the top option, and is not limited to Extremely expensive amulets Only; The Truth is, that in Thailand, it can often be seen that a person spends five times the price of the amulet on a gold case with diamond studded edges, or a silver case with enameled patterns. It is all a question of Values, for example, it can be seen to be logical, that if you have great Faith and reverence for the Image of Buddha, or any other Chosen deity Image, then it is only fitting to encase the Image in a valuable and worthy frame. There are ready made standard size Gold and Silver frames with transparent windows either one sided (front face only with closed back face), or two sided. The Silver Versions are available with Glazed Colored Enamels and Filigrain patterns, and the Gold ones are available with or without diamonds or other precious stones. Waterproof or Non-Waterproof? – Factory or Custom Casing? When we talk about Gold and Silver Casing, we must also reveal that the standard manufactured models are mostly not entirely waterproof, like the stainless steel cases. But with hand made commissioned Gold or Silver encasement, it is possible and also indeed advisable, to first encase the amulet in waterproof acrylic casing, and then have the Gold Artisan fashion a Fancy Gold frame around the border-edges of the waterproof casing. This results in a waterproof luxury case for your amulet which both protects it and frames it with the metal of Kings. I do not advise encasement in Acrylic Waterproof for Ancient Powder Amulets that are of Historic Importance, or are acceptable for Competition, or Valued by Collectors despite the advantages, because if it were ever to be shown in competition, or need to be removed, it would be endangered during removal and could receive damage. It is therefore much better to encase it in a stainless steel or silver, or even gold frame casing. You should also be as careful with it, as an amulet of this caliber and Sacred value deserves. Water is much less damaging to Pra Gru hiding place amulets of this type anyway, for they obtain their texture and consistency from moisture and dryness in the enclosed chamber, and are thus already well dried and adapted to environmental changes. A non-waterproof case is thus still a safe enclosure for this kind of amulet, and does not endanger the amulet when attempting to remove it from the case frame. I thus advise stainless steel, silver or gold casing for this amulet, not waterproof, its value is too high to advise acrylic waterproof, which is difficult to open and remove without the proper tools, and could cause you to break the amulet due to excessive force. A = Any kind of Red Drink or even a Drink that is not Red, if given in a heart-felt manner, and well meant, is better and more likely to produce a result, than to offer the officially allocated Drink, but done mindlessly and without true Generosity in the Heart. Think about it; The Thai Red Drink (Sala Syrup and Red Fanta), only exist since perhaps 80 years or so, but Nang Kwak has been given offerings since thousands of years. So what did they Offer before Red Sala syrup and Red Fanta was invented? They gave whatever was considered to be an offering worthy to pay reverence. They Gave what they themselves considered to be a preferred drink or sweetmeat. If You watch your Heart when you give your last evening packet of chocolate cookies to your chosen Deity, be it Nang Kwak or any other, open the packet, so they will go soft overnight (maybe not!) knowing that you are renouncing that little indulgence..
What if you have something you would really love to enjoy eating, and there is the last one left, and you take it and offer it to Nang Kwak and really mean it when you say ‘I would like to offer this to you please may you enjoy … etc’. This is the best way to make Offerings and pay Reverence. In that moment, the Buddha appeared and said, that all the rich men who have ten millions of Ghodas of Gold and give 5 Million or so, is nowhere near the Generosity that was truly meant and intended in the heart of this little Beggar Boy. Q = I have heard thet Lek Lai makes you Bulletproof. Is this Really True? Can you Guarantee this to Me? 1. It’s forbidden to test, must keep for a real case of needing protection. 2. its a matter of Faith too. Miracles happen, but not every time with every person. So, One should Realize that, when a Bulletproof, or other Miraculous Event happens, it does not mean that this will happen for everybody. For this reason, We can not, and do not wish to guarantee such a thing and would be fools if We did, leavinig Ourselves open to Possible Criticism. People are very assuming in general, and so when someone has Experienced a Lifesaving Miracle with Lek Lai, or indeed any Amulet of a Great Master, then people assume and create Legends, saying that all these amulets are able to do this or that (all of them for everybody). But sometimes, the Person whose life was saved, may have more Faith than someone else, and for this reason it may work for one Person and not another. It is an ignorant assumption to think that if someone was saved because of a St. Christopher amulet his Mum gave him, that all St. Christopher amulets will always do the same for everybody. The Great Ruesi Master of the Christians, Jesus of Nazareth stated, “If a Man has as much Faith as a Grain of Mustard, he could Move Mountains“. Faith is the Same as Samadhi (full one Pointed Concentration and Focus). It is essentially this Focus and One Pointed Unwavering Faith in the Amulet, or Master who made it, which empowers the Miracle events more than any other Factor. Of course the Deva or Magical forces and properties of the Muan Sarn ingredients and the Empowerments given by the Master make a difference, but without Intense Faith, these Aspects of Power are less likely to cause a real Miracle. Q = Can i Put a Wealthy Making Buddha Amulet in my Wallet or my Pocket to attract Riches? A = A Thai Buddhist would not put a Buddha Image in the Pocket, unless it is the top pocket, because, conditioned to Thai Dogma, it would be Inauspicious and Disrespectful. From a Non-Conditioned Viewpoint However, all things arise within our own minds. All of our Perceptions, Beliefs and Dogmas, Fears and Joys. If a technique of Practice, or Ritual Method appeals to Your Personal World View, and it feels Auspicious to do so, and Your heart means well with no Defilement and utmost respect, then this is what matters. What matters more than Ritual, is How much or how well meant Your Bucha method and Practice is. So feel free to do what your Heart tells You. But if you are a stickler for ritual, and sticking to the ‘official method’ is of Importance, and would obstruct your peace of mind if not adhered to, then place the Buddha on a high place, or on the dashboard of car, altar, or if in wallet must keep in top pocket, not at waist level. There are however Many Wealth bringer Amulets, Magical Charms and Yantra Cloths (Pha Yant) which are not Buddha Image and intended to wear on Key Chain or in the Pocket, which can be used for this Purpose. Q = I don’t know the particular Kata for my Amulet to Chant – What can i do?